Think back to when you were in elementary school. What do you remember most vividly? Was it listening to a lecture, watching a demonstration, or filling out a worksheet? Probably not! Personally, I’ll always remember the time in fourth grade when I installed a light bulb in a cardboard box to make an incubator and hatched baby chicks for the school science fair. Young children are far more likely to be highly engaged with hands-on classroom activities than with any other kind of school work. They’re taking control of their own learning—constructing understanding rather than passively receiving information. This experience helps young learners become more confident and self-reliant, as demonstrated in this candid short video (right). Hands-on learning also makes abstract ideas concrete for students who are English Language Learners. Even if they may not articulate the precise vocabulary words, they can express their own ideas by manipulating materials and demonstrating what they know. We drew on the available research on hands-on learning as we started to develop the Engineering is Elementary curriculum more than a decade ago; since then our own research and that of others continues to show that a hands-on approach is highly effective at helping students learn science and engineering concepts and practices. 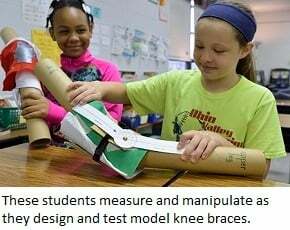 For example, a 2009 study conducted by researchers at Purdue University tested the impact of hands-on engineering design projects on ethnically and socioeconomically diverse eighth-grade students at a rural Indiana school. One group of students followed traditional methods (class lectures, textbook readings, and testing) to learn about human impacts on water and water quality. The other group used the same textbook but spent less than 10 percent of classroom time on lecture-based teaching and a significant amount of time designing a working water purification device. 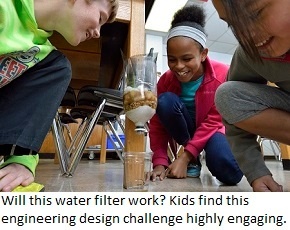 Pre- and post-tests showed the students who’d been highly engaged in hands-on engineering showed more improvement and scored higher in their knowledge of water quality topics than the "traditional" group . . . and the impact was especially significant for English Language Learners. We find the same outcomes when elementary students learn with the EiE—and it’s more than just test scores. A teacher once shared with us the story of a girl from the Dominican Republic, an indifferent student who seemed disengaged from class activities . . . until the class started the EiE unit “Water, Water Everywhere.” It includes a storybook about a girl in India who is worried about pollution in the Ganges; the story sets the scene for lessons where kids design, build, and test a water filter. Designing, testing, and redesigning at home, she had persisted with the challenge. “My mother’s taking me to the Dominican Republic this summer, and we’re going to visit an engineer at a desalinization plant,” the girl confided. “And someday, I’m going to be an engineer myself and help make sure everyone in my country has clean water.” This student was placed in the school’s gifted and talented program, where she excelled. A proverb attributed to Confucious says, “I hear and I forget. I see and I remember. 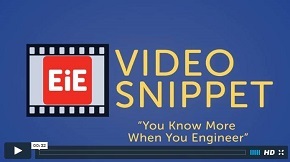 I do and I understand.” This bit of wisdom date back more than 2,000 years, but it’s fresh and wholly accurate in the K – 5 engineering classrooms of today.